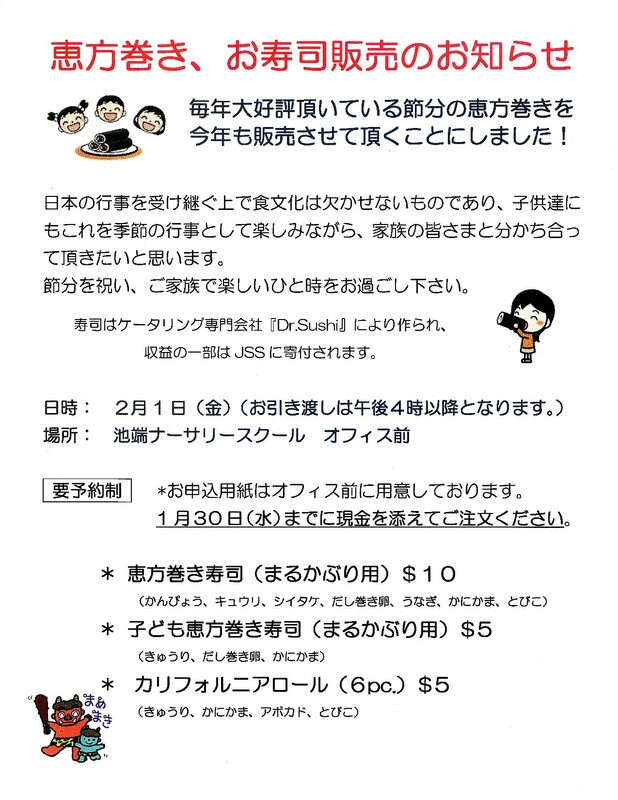 Ikebata Nursery School, again this year, will be donating to JSS a part of the profit from the sales of Ehou-maki (or eho-maki), a seasonal maki-sushi on Setsubun day. The menu and description of the ingredients are below. The sushi will be made by a local catering company. 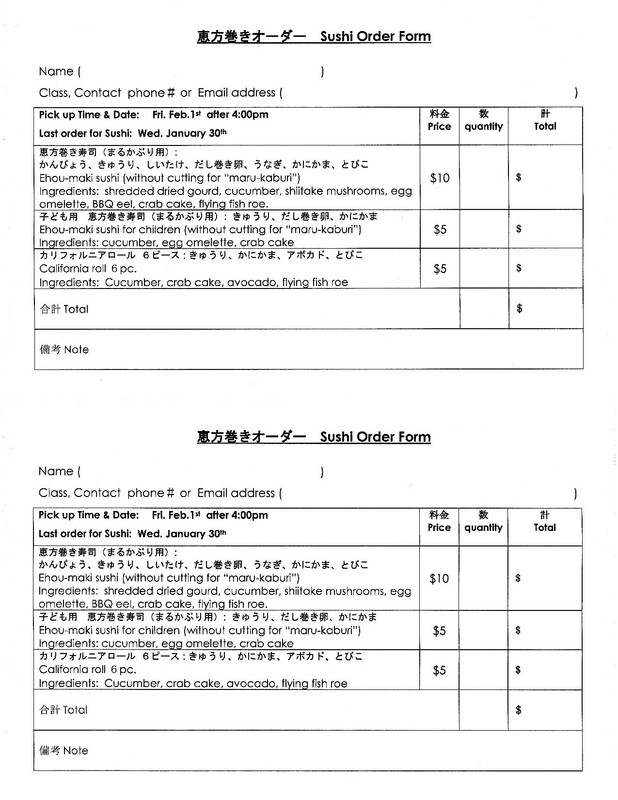 Please use the order form (download PDF from here), and directly order and pay (cash only) at Ikebata Nursery School by Wed, Jan 30, 2019. Contact the nursery if you have any questions. Let’s support JSS and be happy by eating yummy Ehou-maki!